Gold bulldozer uses scalp/swing strategy with ZigZag indicator, that best works on XAUUSD in M30/H1/H4 chartThe work starts at 3 am and ends at 10 pm . ZigZag indicator tracks and connects extreme points of the chart, the distance between these points being equal or higher than the percentage specified for the price scale. We optimization in MetaTrader for the best stability and profits. Max open trades is one. 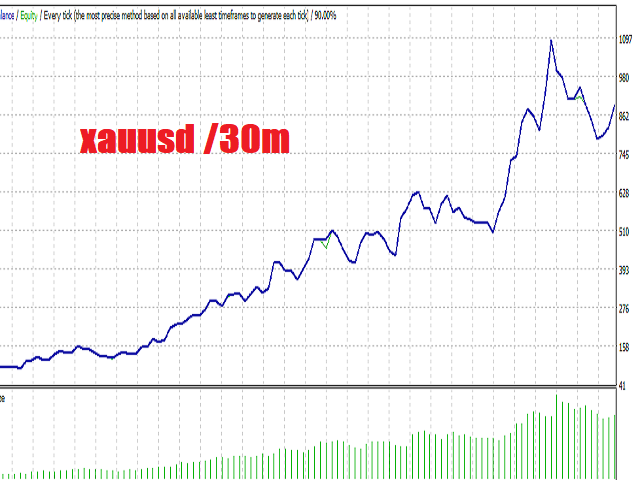 Uses hard stop loss (-25 pips) and dynamic take profit levels based on market sentiment. We recommend maximum 20 pips spread, very low slippage (ECN/Market maker).